So, when we were in Nevada a couple weeks ago, we spent some nights in the trailer, and it became very evident that I needed to find myself some slip-on shoes of some sort. Putting on real shoes in the middle of the night to visit the outhouse is not fun. 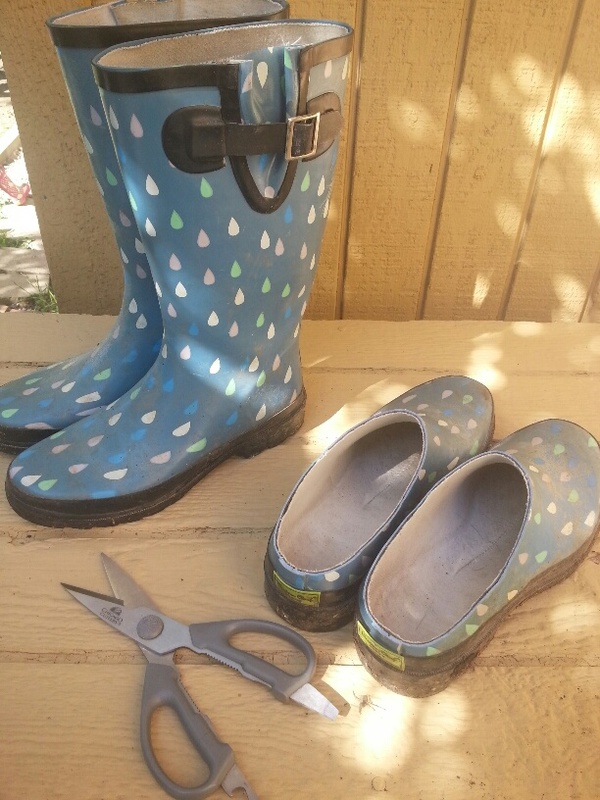 They needed to be waterproof for the rain and mud we occasionally get there. But also because waterproof also means dirt proof, which is more my concern seeing as how our homestead is in Nevada, afterall. I hate tromping out to the outhouse and having to empty the sand and pebbles out of my shoes before coming back in the trailer. So I started searching in various stores as I was in them. Not a concerted effort, mind you, just seeing what they had since I was there. 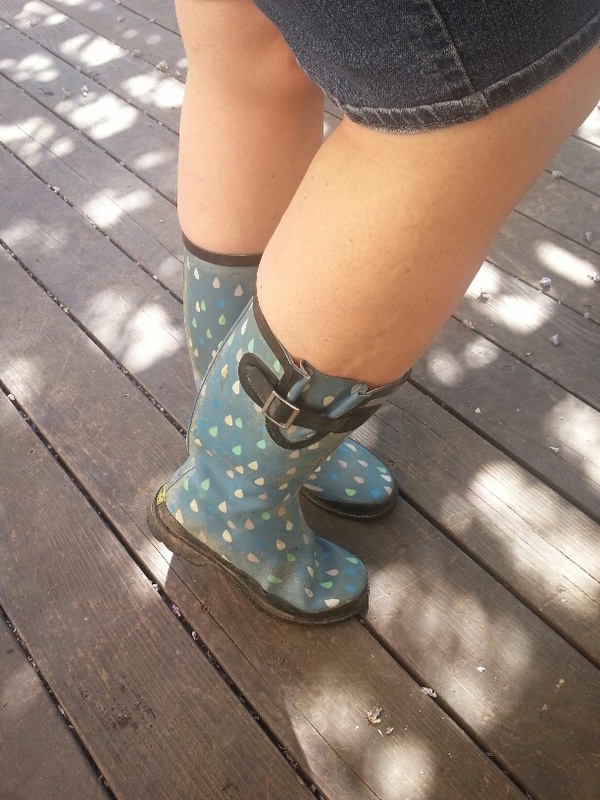 And then my wonderful hubby reminded me I had some old rain boots which could work. 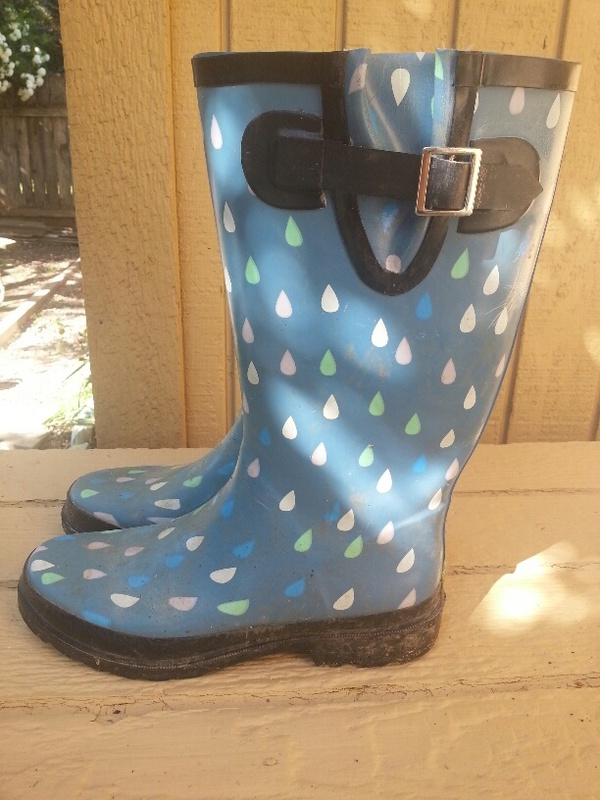 You see, the rain boots had developed a hole in the sole of one which, when worn in heavy water, leaked. General mud and dirt and dampness, however, stayed out. So they still worked just fine as muck boots, so long as I wasn’t standing in actual water. 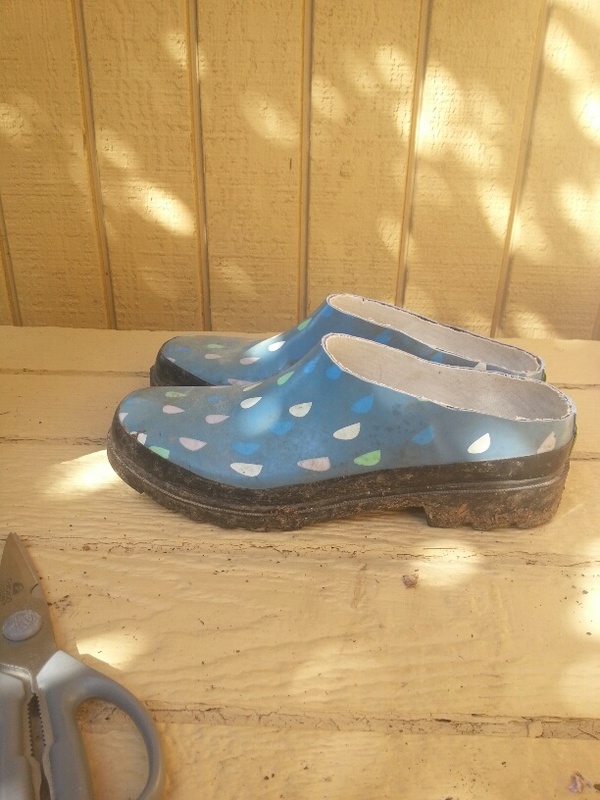 But seeing as how I won’t be needing muck boots in the near future, and I DO need some slip on shoes, I made the change. It was very simple. I just took a sturdy pair of kitchen sheers and cut the tops off. 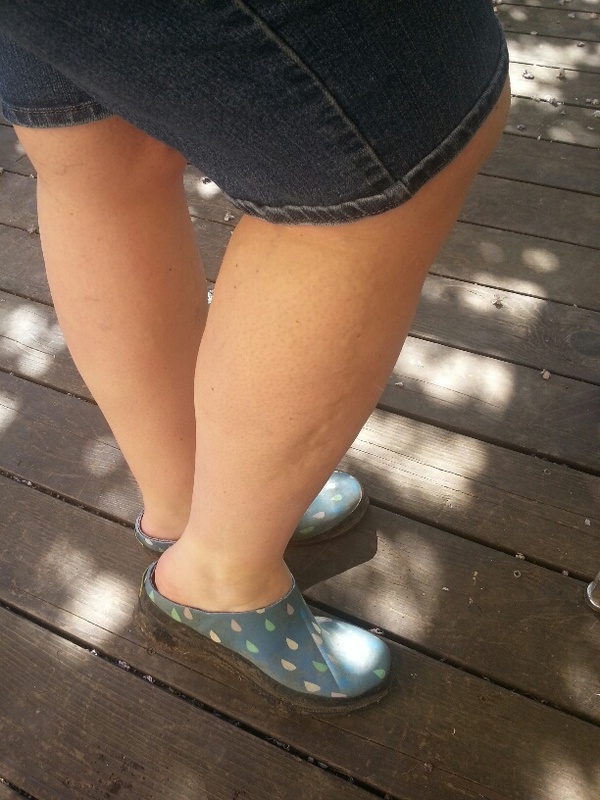 Now I have a pair of clogs that I can slip on and off easily for use while living in our trailer. I didn’t have to spend any money, and I am re-purposing something which was “broken”. This entry was posted in DIY, Portland Interlude 2014-2016, Trailer Living and tagged DIY, Re-purpose, Recycle, Reduce, Reuse, Trailer Living on May 10, 2016 by Maridy.